Is the Romanian Stock Market Next ? During the summer of 2007, I was invited to a very interesting investment tour of Romania. This was our first trip and we were just getting acquainted with the region’s possibilities. We met of course many bullish entrepreneurs, with record profits, forests of construction cranes, an ebbuliant real estate market with apartment prices going through the roos, stock prices achieving record highs every day, as well as brokerage houses offering analysis of their own shares. At that time, the country was overtaken by a frenzy both in terms of its real economy as well as its capital markets, which expended across our region and the entire EU. In 2008/2009, the great global crisis swept across all regions, Romania being even more impacted than the average. Its aftermath was more devastating and wide spread than in Hungary, Poland or the Czech Republic. Romania was hit with the deapest recession in terms of GDP. Consumption dropped significantly and corporate investments stopped. In the years following the great crisis, the state’s public debt almost tripled, thanks to the largest budgetary deficit in the region. Foreign debt more than doubled due to expanding balance of trade deficits. Apartment prices dropped by 30% and about 25% of bank loans defaulted. An IMF loan followed by years of budgetary austerity (including a 25% reduction of public employee wages), a tightening of credit and devaluation of the currency were necessary to put the economy back in balance. After a long and painful period of transformation, while Europe itself seems to be awakening from its own lengthy nightmare, it appears quite likely that Romania may move from laggard to the fastest growth economy in our region. Why? If we believed in astrology, we would answer by referencing a favorable alignment of the stars. The economic explanation, however, is much less esoteric and rests on several important factors, in part externally driven and in part driven domestically by Romanian economic policies. The first factor is the low basis, the low GDP/capital, the low real-term wages compared ot the rest of Europe, and next to the devaluation of the local currency (RON or lei), a more and more competitive professional workforce. Regionally compared, the level of indebtedness of the Romanian economy is significantly more favorable. Indeed, Romanian public debt ratio tripled after the great depression, but in terms of GDP it still looks half of that of Hungary. Even the level of private debt, consisting of households and corporations, remains depressed compared to that of neighboring countries. Finally, compared to the region, a lower level of penetration of credit might provide Romania a larger upside in terms of expansion of credit, which could be one of the primary levers of economic growth. 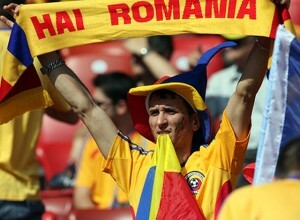 EU membership could also be an important source of stimulus for the Romanian economy. Although formally accepted in the EU in 2007, the benefits of membership have not yet truly benefited the economy. Indeed, Romania showed poor skills in administering and leveraging project-specific, non-recurring Bruxelles-based funding sources. Between 2007 and 2014, for example, only 38% of EU-approved funding was drawn down by Romania, compared to a 60% utilization ratio by Hungary for the same period. Clearly, more efficient administrative processed ought to be put in place in the future by the Romanian authorities to better take advantage of such EU funding, at a minimum inspire by other countries best practices. 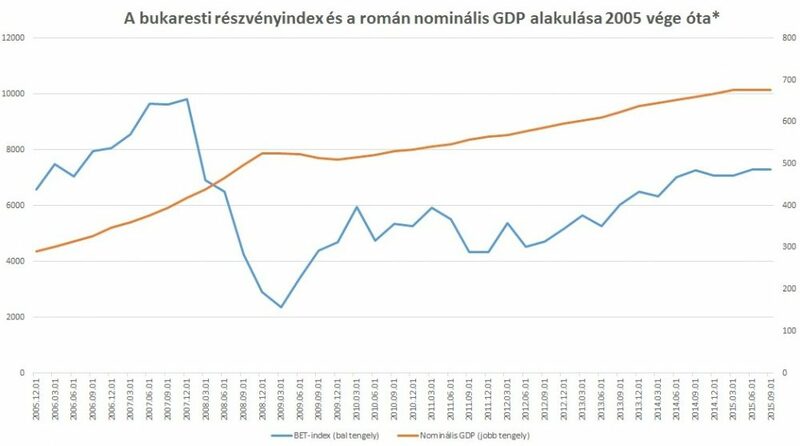 In the 2014-2020 period, an average 2.5% of GDP will be set aside by the EU annually for Romania, which in case of a 90% draw-down would accelerate annual GDP growth by an additional 0.8%, based on a recent estimate by ERSTE bank. 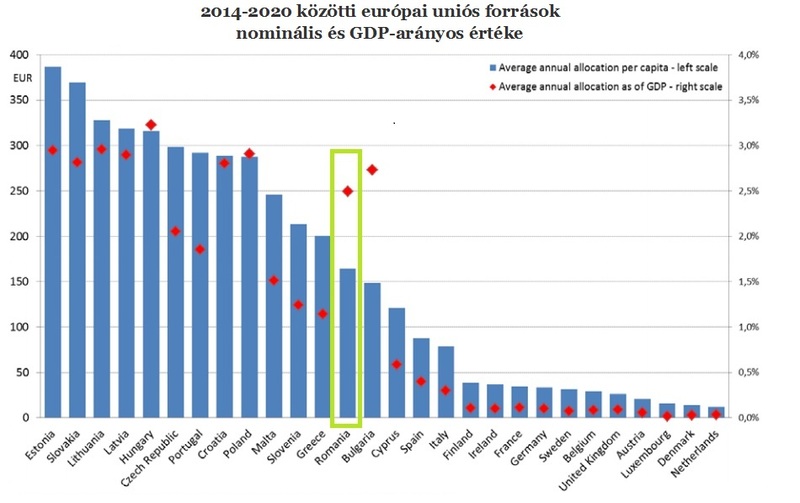 In the case of Hungary, a similar draw-down would add 0.7% to GDP growth, and only 0.5% in the case of Poland. The main reason behind the favorable economic outlook of Romania – let’s be frank about it – is the Western-oriented economic attitude of the current government with a new emphasis on economic openness, fiscal prudence and long-term outlook. Following the 2012 elections, the new prime minister, Victor Ponta, won a 2/3 majority in parliament through a coalition of his social democrats and representatives of the national liberal party, which allowed him to proceed with surprisingly market-friendly policies. Though the same coalition fell apart last year, and despite Ponta losing the presidential election to the Liberal candidate, Klaus Joannis, Ponta’s market friendly economic policies have been preserved. Even more surprising for a country on the Eastern borders of Europe, Ponta engaged in an aggressive anti-corruption campaign. After naming Laura Kövesi, a former professional female basketball player to lead the Anticorruption Agency, a flurry of “three pointers” were scored by the new nominee, with a number of former prime ministers, ministers and large town mayors being caught into her dragnet. With broad support from both government and oposition leaders, Ponta’s plan is to transform Romania into the faster growing economy in the Central and Eastern European region. By trying to preserve a healthy balance between its social obligations and a market-economy, Ponta and his government are trying to create a more stable and predictable business environment, while enhancing the capacity of his country to attract capital, by relying on IMF support and EU subsidies. The positive momentum of the economy could be accelerated further by upgrading the status of its capital markets, which would enable an influx of foreign capital, while facilitating and reducing the cost of sovereign financing, which would increase the appeal of the domestic stock market. By the way, the number of Romanian companies listed on the domestic stock market has already grown substantially recently following the privatization of public assets, and a number of new listings is expected in the not too distant future. The backend of the stock exchange itself was recently renovated to significantly increase its efficiency and capacity for process settlements, which should make it also more accessible to foreign investors. The infrastructure and governance of institutions backing the national exchange has also improved considerably, thanks to the involvement of Templeton Asset Management, one of the largest fund managers in the world, which has served for many years as outsourced manager of the Fondul Proprietatea (i.e., the Romanian National Restitution Fund), and tried to introduce progressively a more western and professional capital markets culture and infrastructure. Actually, the best illustration of the new ambitions of the Bucarest Stock Exchange is its hiring in 2013 of Ludwik Sobolewsk, the former head of the Warsaw Stock exchange, the largest exchange in Central and Eastern Europe. Al indications point to the fact that Romania, while planning to ride the wave of European economic expansion, may be able to benefit substantially in the next few years. This is also an investment opportunity for all of its neighbours. Despite a recent rise, the bucarest BET stock index is still substantially lagging its pre-crisis level, while the Romanian GDP in real terms is way exceeding its prior peaks. Average multiples of the BET stock exchange remain quite attractive. Even a cursory analysis of stocks indicates that market prices are not reflecting yet the overall real growth of the economy. This means opportunities for value investors and stock pickers, especially when looking for gems from a risk-adjusted return perspective. Since the first draft two weeks ago of this blog, the Romanian Prime Minister, Victor Ponta, was indicted by the very Anticorruption Agency that he helped create, for alledged past falsification of legal documents, money laundering and tax evasion activitie during his in private practice as a lawyer. After stepping down from the leadership of his party and while surviving a motion of no-confidence in parliament, Mr Ponta continues to serve as Prime Minister while the legal process takes its full course. In the mean time, the latest GDP growth figures were also released for Q2’2015, whereby Romania achieved 4.2% YoY GDP growth rate, the highest in all of Europe.